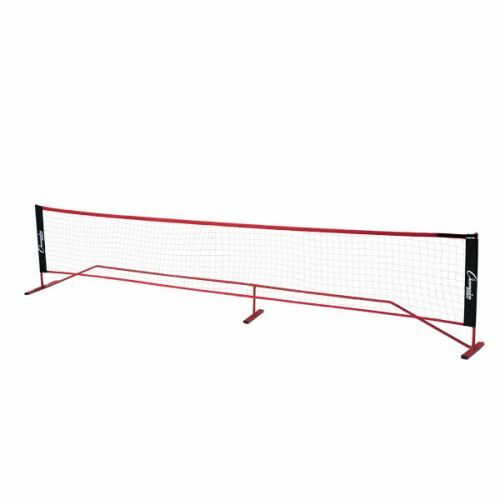 The Champion Sports Port-A-Net is a 20' wide regulation portable system that allows you to set up a full size court wherever and whenever you need it. 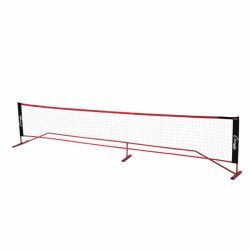 The 30" net can be set to a full 61" height for badminton, tennis, and other over the net sports. The durable powder coated steel frame requires no extra weight for stability, and the nylon-web adjustable strap at the top ensures quality net tension. The entire portable system fits easily into a durable nylon carry bag for convenient storage and transport.